Have you ever tried scaling or rotating a motion path? AE has no built-in way to do it. This tool lets you scale & rotate motion paths like you would any other path. You know, like it should be. 1. 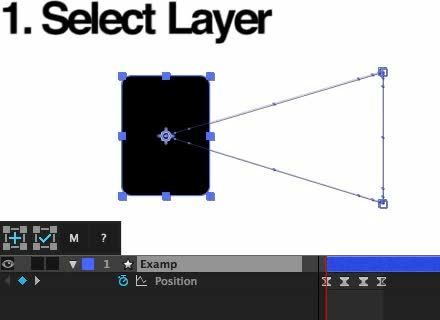 Select a layer with a motion path. 2. Click "Create" to create a temporary null and a temporary duplicate of your layer. 3. 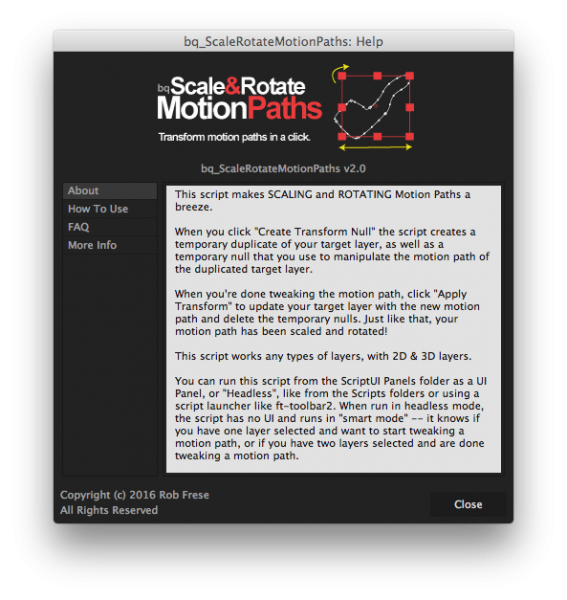 With both temporary layers selected, scale and rotate the temporary null to scale and rotate the motion path. 4. When you're done, click "Apply" to apply the motion path to the original layer and delete the temporary layers. Works with any type of layer. 2D and 3D layers. Only applies to root-level motion paths. In other words, it won't work on the position property of a shape within a layer. If you can't see your entire motion path, you have to tweak an internal AE setting. Go to Preferences > Display and set "Motion Path" to "All Keyframes" to see your entire motion path at once. - If you have one layer selected, it creates a transform null for you to scale and rotate. - If you have transform null/temp layers selected, it applies the transformation. - If you have nothing selected and there are temp layers in the comp, it selects them for you.